Beach weddings are a time for romance and memories. The last thing that we want to commemorate is how much the wedding cost, and how long it will take to pay it off! Why not then, get back to basics. Weddings, after all, are not about the expensive clothing, the hall, the hundreds of people and the top flight band. 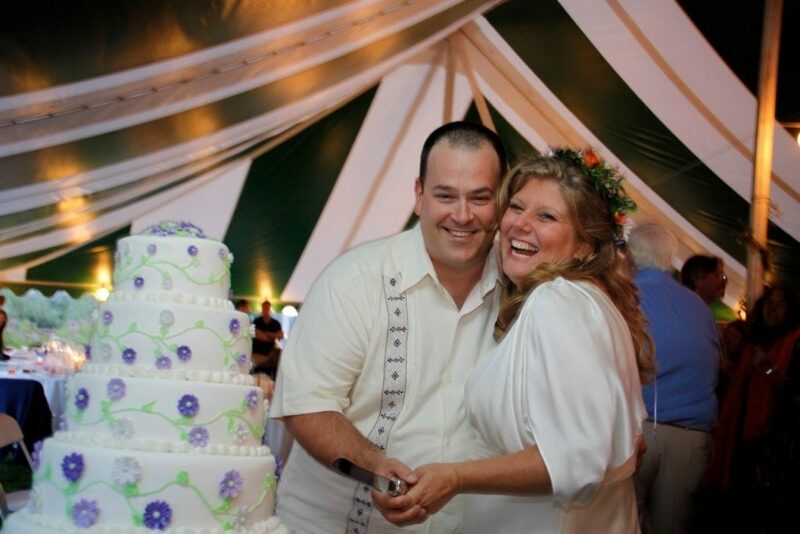 Weddings are about the couple, the vows, the intimacy and the families. Beach weddings sets free our imagination. Kick off your shoes and return to simplicity. That applies to the beach wedding attire, the food, the decor and the ceremony. 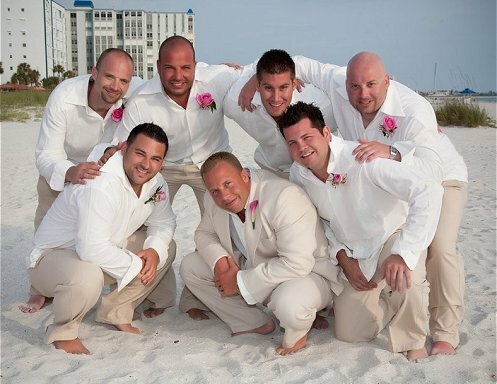 Men’s beach wedding attire can range from going barefoot in a tuxedo, to an open neck shirt and drawstring pants with grass sandals. Woman’s beach wedding attire can be equally elegant and simple. Just because one might be saving money on casual beach wedding attire, a beach wedding needn’t be a bland occasion. One can add a few inexpensive and elegant touches to the occasion. Homemade wreaths made from indigenous flowers can form part of the ceremony. Each person wears a wreath. During the ceremony, the wreaths are exchanged and become joined. This may require rehearsal but it brings with it a significance of two becoming one. A step beyond the exchange of rings. The joined wreaths may be dried and kept as a memento for posterity. Another apt, yet simple variation is in the canopy. Instead of a cloth canopy, a palm fronds can do just as good. This too may be kept, along with the beach wedding attire and wreaths, as one would one’s fancy wedding dress or tuxedo, in a special place. It would be wise to check the local legislation however as far as the saying of the vows is concerned. In some countries, the law requires that the vows must be said inside a building that has a roof. If that is the case, the couple may have the ceremony on the beach and exchange their vows. If the roofed venue is close to the beach, there will be no need to change from the beach wedding attire. In addition to the clothing, the decor and the accouterments, beach weddings also have the advantage of selecting the time of day to conduct the wedding. A wedding at dawn may symbolize new beginnings. It may be a little hard on the bride and her team in terms of preparation though, even though the beach wedding attire is much easier to don than a complicated wedding dress. There is still the make-up and nerves to contend with. A wedding at dusk could symbolize moving from one life into another. This gives everyone time to arrive in good time, to prepare the banqueting tables and to party into the night. The wind may however be something to bear in mind, as evenings on the beach could be windy and cool. Beach wedding attire, while simpler that conventional wedding attire, should none the less make provision for all these eventualities. Dawn and dusk weddings however provide wonderful light conditions for photographs, and ideal beach wedding attire can be particularly well set off in the coppery sunlight of dawn and dusk. An afternoon wedding though, might be the best. After the ceremony, the afternoon will be devoted to eating and partying, and allow everyone to go home before its dark. Local customs may however dictate otherwise and the event could be adapted to suit the culture and the environment. Tailor Wedding Dress that keeps with your Theme Beach Wedding Why More Couples Go with The Beach Wedding Option Today?